Draft: 2015, Houston Astros, 1st rd. Graduated from Albuquerque Academy H.S. in New Mexico in 2012...had a big junior season in 2011 as he was named first-team All-State and set a New Mexico season record with 19 home runs...was drafted by Boston in the 29th round of the 2012 MLB draft but opted to attend LSU. • During his junior year at LSU in 2015, was a FirstTeam All-American, Gold Glove Award winner and a Golden Spikes Award finalist... Finished his career at LSU with a .337 batting average with 56 doubles, 10 triples, 21 homers, 148 RBI, 153 runs and 66 steals...Played in the 2015 Houston College Classic at Minute Maid Park for LSU and was named to the AllTournament Team after hitting .385 (5x13) a double and three steals...Drafted with the second overall pick in the 2015 MLB draft...became the second player to be taken by Houston with the second pick in the draft, joining RHP J.R. Richard (1969)...signed by Justin Cryer...In 2018, became the first player in Astros history to receive the All-Star Game Ted Williams MVP Award...hit a go-ahead homer in the 10th inning in the AL's 8-6 win...Participated in the 2018 Home Run Derby, joining Lance Berkman, Jeff Bagwell, Moises Alou and Glenn Davis as the only Astros players to participate in a Home Run Derby...IN THE COMMUNITY: Prior to the 2018 season, launched AB for AUDS, an organization focused on raising money for children with autism and down syndrome, in honor of his godson Brady Columbus...Started a Youtube channel this offseason and has close to 70,000 subscribers...Was added to the Astros 40-man roster on July 25, 2016...is currently signed to a one-year contract for the 2019 season...is under Astros club control through 2022. Was named the Astros Most Valuable Player by the Houston Chapter of the BBWAA in what was his firstcareer All-Star season...was one of the top players in the game and led the Astros in nearly every offensive category in a season where he was named the All-Star Game MVP, the AL June Player of the Month and the AL Player of the Week for the week of June 25-July 1...was also the Astros finalist for the 2018 Hank Aaron Award... set career-highs in runs (105), hits (170), doubles (51), homers (31), RBI (103), walks (96), batting average (.286), on-base percentage (.394), slugging percentage (.532) and OPS (.926)...led the Astros in runs, hits, doubles, homers, RBI, walks, on-base percentage and OPS...led the Majors with 51 doubles, tying the third-most in club history for a single season with Craig Biggio (1998) behind Biggio (56 in 1999) and Lance Berkman (55 in 2001)... posted 83 extra-base hits, the second-most in the American League and the sixth-most in franchise history for a single season...marked the most extra-base hits by an Astros player since 2001, when Lance Berkman (94) and Jeff Bagwell (86) each had more...per STATS Inc., posted 8.3 wins above replacement, the third-best mark in the AL behind Mike Trout (10.6) and Mookie Betts (9.5)...was also the fourth-most WAR in a single season by an Astros player behind two seasons by Craig Biggio (10.4 in 1997; 8.6 in 1998) and Richard Hidalgo's 2000 season (8.9)...ranked among the top-10 AL players in walks per strikeout (1.13), walks (3rd), on-base percentage (4th), runs (5th), OPS (5th), RBI (T-5th), slugging percentage (6th), games (157, T-6th) and hits (T-8th)...posted the fifthlowest chase rate in the Majors (20%) and the second-lowest in the AL behind Mookie Betts (19.4%)...also posted the fourth-best contact rate in the Majors (88.5%) and the second-best in the AL behind Michael Brantley (90.9%)...became the youngest player in Astros history with a 30-homer season...joined Lance Berkman (2001) as the only players in Astros history with a 50-double, 30-homer season...became the first player in MLB history to record 30 homers and 50 doubles in a season while playing the majority of his games at third base...became the fifth player in MLB history with a 50-double, 30-homer season prior to turning 25 years old...also Albert Pujols (2003-04), Alex Rodriguez (1996) and Lou Gehrig (1927)...joined Lou Gehrig (1927) as the only players in Major League history to record a season with at least 50 doubles, 30 homers, 90 walks and 10 stolen bases...became Houston's first 100-RBI hitter in nearly a decade, becoming the first to reach that total since Carlos Lee in 2009 (102 RBI)...posted a 42-game on-base streak from July 30-Sept. 16, the fourth-longest streak in club history and the longest since Jeff Bagwell's 44-game streak in 1998...ended the season on an active 56-game road on-base streak, setting a new franchise record (previously 51 games set by Jeff Bagwell from 1998-99)...marked the longest streak by a Major League player since Derek Jeter posted a 59-game streak from 2006-07...reached base safely in 145 games, tying the third-most games reaching base in a single season in club history, last accomplished by Lance Berkman in 2004...the only player to reach base in more games in a single year was Jeff Bagwell (151 games in 1999 and 1996)...led the American League with three walkoff hits... was responsible for four of the Astros walkoff wins (reached on an E3)...hit .388 (52x134) with runners in scoring position, .368 (21x57) with runners in scoring position and two outs, and .538 (7x13) with the bases loaded... ranked fourth in the Majors in batting w/RISP, ninth in the AL in batting w/RISP and two outs, and tied for eighth in the AL in batting average with the bases loaded...reached 100 career doubles on Sept. 7 at BOS in his 342nd career game in the Majors...reached 100 doubles, 50 homers and 200 RBI in the fourth-fewest amount of games by any player in nearly a century (since 1920)...the only players to do it faster: Ted Williams (341g), Chuck Klein (317g) and Hank Greenberg (315g)...made his second-career Opening Day roster and made his second-consecutive Opening Day start at third base, going 1x3 with a walk and a double in Houston's 4-1 win over the Rangers in Arlington...recorded a walkoff RBI-single in the 10th inning on April 7 vs. SD...hit an infield popup that fell in for a hit...was his first-career regular season walkoff hit...went 4x6 with a double and a solo homer on April 11 at MIN, setting a new single-game career-high for hits...tallied multiple hits in four consecutive games from April 19-22, tying the longest multi-hit games streak of his career...on May 22 vs. SF, went 2x4 with two doubles, two RBI, a walk and a steal...joined Sean Berry (Aug. 14, 1996 at MON) as the only third basemen in franchise history to record multiple doubles, multiple RBI and a stolen base in a single game... pushed Houston to its 12th consecutive win with a bases-loaded, two-run walkoff double in the 9th inning on June 18 vs. TB...combined for back-to-back-to-back home runs with George Springer and Jose Altuve on June 20 vs. TB (Springer-Bregman-Altuve)...was the sixth time in club history that the Astros hit three consecutive homers in an inning, and the first time since May 2, 2008 vs. MIL (Miguel Tejada-Lance Berkman-Carlos Lee)... tallied a 31-game on-base streak from May 15-June 20...went 4x5 with three doubles and a two-run homer on June 26 vs. TOR...tied his single-game career-high for hits, set a single-game career-high for doubles, and homered for the second-straight game...became the fourth player in club history to have a game with four extra-base hits, joining Jose Altuve (May 17, 2017 at MIA), Jeff Bagwell (June 14, 1996 at SF) and Kevin Bass (June 27, 1987 at SF)...joined Larry Gardner (1922) as the only third basemen in AL history with three doubles and a home run in a single game...hit his first-career walkoff homer on June 27 vs. TOR...was his third consecutive game with a home run...became the first player in franchise history to record five doubles over a two-game span...recorded seven consecutive extra-base hits over a two-game span from June 26-27, tying the most extra-base hits over a two-game span in MLB history...at 24 years old, became the youngest player to do so, surpassing Hall of Famer Red Schoendienst (25 in 1948)...source: STATS LLC...was named the AL Player of the Month for June, his first-career monthly award...along with Evan Gattis, tied a franchise record for RBI in a single month of June with 30, surpassing Jose Cruz (1984) and Jimmy Wynn (1967)...during the month, hit .306 (33x108) with 24 runs, nine doubles, one triple, 11 homers and a 1.085 OPS (.372 OBP/.713 SLG)...led the Majors in extra-base hits during the month, while tying for the AL lead in homers and RBI...homered in five of his last six games to finish the month...was named the AL Player of the Week (June 25-July 1) on the same day he was named AL Player of the Month...during the week, hit .464 in seven games with five doubles, five home runs and 10 RBI...led the AL in both HR and OPS (1.695) for the week...per ESPN Stats & Info, became the third player in franchise history to post 10+ homers and 30+ RBI in a single month, joining Jeff Bagwell (May 1996, Aug. 2000) and Richard Hidalgo (Sept. 2000)...recorded his first-career multi-homer game on July 10 vs. OAK...led the Astros to another walkoff win, as he reached first base on an error by the catcher that scored the game-winning run in the 11th inning... his 52 extra-base hits prior to the All-Star Break ranked tied for third in franchise history with Jeff Bagwell's 1997 season, behind two seasons authored by Lance Berkman (56 in 2001, 55 in 2008)...was named to his first-career All-Star Team via the player vote...was named the 2018 All-Star Game MVP after hitting a go-ahead homer in the 10th inning in what ended up being an 8-6 win for the AL...became the first player in club history to be named the MVP of an All-Star Game...hit back-to-back homers with George Springer, becoming the first pair of teammates to hit back-to-back homers in an All-Star Game since Steve Garvey and Jimmy Wynn of the Dodgers did so in the 1975 All-Star Game (ESPN Stats & Info)...became the fifth player in Astros history to participate in a Home Run Derby, joining Lance Berkman (2002, 2004, 2006, 2008), Jeff Bagwell (1994, 1996-97, 1999), Moises Alou (1998) and Glenn Davis (1989)...tied his single-game career-high in hits on Aug. 27 vs. OAK, going 4x5 with four RBI, including a three-run homer...set a career-high with five RBI on Sept. 5 vs. MIN, going 2x3 with a two-run homer and a three-run double...in eight postseason games, batted .292 (7x24) with two doubles, two homers, five RBI, 11 walks, three hit-by-pitches and a 1.178 OPS (.553 OBP/.625 SLG)...his 11 walks tied the second-most in club history in a single postseason with George Springer (2017), behind Lance Berkman (12 in 2005)...his 11 walks also tied the second-most by a player over his club's first eight games of a single postseason in MLB history with Manny Ramirez (2007-08), David Ortiz (2007), Barry Bonds (2002) and Babe Ruth (1926), behind Jimmy Wynn (12 in 1974)...joined Evan Longoria as the only third basemen in MLB history to record six postseason homers prior to turning 25 years old...hit a solo homer off Corey Kluber to put Houston up 1-0 in Game 1 of the ALDS vs. CLE...marked the second-consecutive season that he scored and drove in the club's first run of the postseason (homered in Game 1 of the 2017 ALDS vs. BOS)...homered off Trevor Bauer in Game 2 of the ALDS vs. CLE, becoming the third player in club history to homer in each of the first two games of a postseason, joining Colby Rasmus (2015) and Ken Caminiti (1999)...walked three times in Game 1 of the ALCS at BOS, tying the franchise record for walks in a postseason game, last accomplished by George Springer in Game 5 of the 2017 World Series...recorded seven assists in Game 1 of the ALCS at BOS, the most by a third baseman in ALCS history...drew three walks in Game 2 of the ALCS at BOS, joining Jimmy Sheckard (1910) as the only players in MLB history to record at least three walks in consecutive postseason games...his 10 walks through ALCS Game 2 tied Jimmy Wynn (1974) for the most ever by a player through his team's first five games of a single postseason...per ESPN Stats & Info, his seven walks through ALCS Game 3 tied Frank Thomas (1993) as the most ever by a player through the first three games of a single LCS...reached base 20 times over the first six games of the postseason, tying the MLB record for most times reaching base in any six-game span in the postseason with Lou Gehrig (1928-32) and David Ortiz (2007). 23-year-old built upon his stellar 2016 rookie season by establishing himself as one of the brightest young stars in the game...clubbed 39 doubles (T-9th in AL), five triples and 19 home runs while swiping 17 stolen bases and posting an .827 OPS (.352 OBP/.475 SLG) in 155 games...was one of five players in the Majors to post at least 39 doubles, 19 home runs and 17 stolen bases, along with Jose Altuve, Elvis Andrus, Mookie Betts and Jose Ramirez...the only player in club history to reach those numbers in a season at a younger age was Cesar Cedeño at age 21 (1972)...the only other third basemen in MLB history to reach those totals, regardless of age, were Anthony Rendon (2014), David Wright (2005-07), Chipper Jones (1997, 1999), Howard Johnson (1989) and George Brett (1979)...became the third player in American League history to reach 39 doubles, five triples, 19 homers, 17 steals and 55 walks in a season at age 23 or younger, joining Mike Trout (2013) and Grady Sizemore (2006)...ranked third among AL third basemen in OPS, behind Josh Donaldson (.990) and Mike Moustakas (.858)...was one of the to hitters in the AL against lefthanded pitching...hit .331 (47x142) with 18 extra-base hits (9 doubles, 2 triples, 7 homers), and a .974 OPS (.404 OBP/.570 SLG) against left-handed pitchers...ranked ninth in the AL in both batting average and OPS vs. lefties... finished tied for ninth in the AL in triples (5)...marked the most triples by a 23-year-old Astros player since Luis Gonzalez hit nine as a 23-year-old in 1991...led the Astros with 155 games played...started 127 games at third base and 21 games at shortstop...led all American League third basemen in fielding percentage (.970), making just 10 errors in 337 total chances...was the fourth-highest fielding percentage by a third baseman in club history, trailing Bob Aspromonte (.973 in 1964), Matt Dominguez (.972 in 2014) and Doug Rader (.971 in 1975)...vastly improved upon his .931 fielding percentage he posted at the position in 2016...made his first career Opening Day roster and Opening Day start...at 23 years, four days old, became the youngest third baseman in club history to start on Opening Day on April 3 vs. SEA...hit his first career grand slam in Game 2 of Houston's doubleheader at NYY on May 14...was his first homer of the year, snapping the longest homerless streak of his career (147 at-bats, 41 games)...at 23 years, 45 days old, became the sixth-youngest visiting player since 1930 to hit a grand slam at Yankee Stadium, behind Adam Jones (22.362 in 2008), Wil Myers (22.194 in 2013), Ken Griffey Jr. (21.244 in 1991), Pat Seerey (22.118 in 1945), Ted Williams (21.351 in 1940)...tied a career high in hits on May 24 vs. DET, going 3x4 with a double and a homer...homered in all three games of the Astros series at Minnesota from May 29-31... marked the first time in his career that he homered in three straight games...also recorded multiple hits, multiple RBI and a homer in those three games at Minnesota, becoming the youngest player in club history with a streak like that since Jeff Bagwell also did so during his 1991 rookie season at 23 years old...in July, ranked tied for third in the AL in doubles (11) and eighth in OPS (1.021)...had a three-hit game on July 4, and after that date was one of the best hitters in the American League...from July 4 through the end of the season, hit .321 (93x290) with 57 runs, 25 doubles, four triples, 11 homers, 45 RBI, 11 steals and a .927 OPS (.378 OBP/.548 SLG)...among AL players in that span, ranked third in runs, third in doubles, sixth in batting average and tied for seventh in hits...doubled in a career-long four consecutive games from July 4-7...ranked fourth in the AL in hits in August (39), while hitting .345 during the month...tied a franchise record by recording an extra-base hit in 10 consecutive games from July 30-Aug. 9...tied the club record streak set by Richard Hidalgo in 2000...was the longest extra-base hit streak by a Major League player since Brian Dozier had an 11-game streak in 2016...hit .378 (14x37) with five doubles, three home runs and two triples during his streak...became the fourth player since 1913 to have a 10-game extra-base hit streak at 23 years old or younger, joining Justin Upton (2011), Ken Griffey Jr. (1993) and Willie Mays (1954)...hit a game-tying, two-run, 9th-inning triple off RHP Roberto Osuna on Aug. 6 vs. TOR...scored the game-winning run on Juan Centeno's walkoff single...posted a career-long, 14-game hitting streak from July 29-Aug. 12...played the 162nd game of his career on Aug. 15 at ARI...recorded 42 doubles and 71 total extra-base hits over his first 162 games in the Majors...the only player in club history to record more in his first 162 games was Hunter Pence, who posted 43 doubles and 77 extra-base hits...homered in each of his first two career games at Fenway Park from Sept. 28-29 at BOS...became the first Major League player to homer in each of his first two games at Fenway Park since Paul Goldschmidt in 2013...had a breakout postseason in his first ever trip to the playoffs...hit .208 (15x72) with three doubles, four homers and 10 RBI in 18 starts at third base...while he did not hit for a high batting average, he had a number of key hits and highlight reel defensive plays that propelled Houston to their first World Series Championship...became the fifth player in MLB history to hit four homers in a single postseason at age 23 or younger...joined Carlos Correa (2017), Kyle Schwarber (2015), Evan Longoria (2008) and Miguel Cabrera (2003)...homered off LHP Chris Sale in Game 1 of the ALDS vs. BOS in what was his first career postseason plate appearance...became the fourth Astros player to homer in his first career postseason plate appearance, joining Raúl Chávez (Game 2 of the 2007 NLDS), Jason Lane (Game 1 of the 2004 NLDS) and Glenn Davis (Game 1 of the 1986 NLCS)...per ESPN Stats & Info, became the second-youngest player in club history to hit a postseason homer (Carlos Correa, 21, 2015)...at 23 years old, became the youngest third baseman in club history to start a postseason game...hit a game-tying, solo homer off LHP Chris Sale in the 8th inning of Game 4 of the ALDS at BOS...became the fourth-youngest American League player in postseason history to homer in a series clinching game...the only players to do it at a younger age: Mickey Mantle (1952 World Series), Charlie Keller (1939 World Series) and Joe DiMaggio (1937 World Series)...became the second player in MLB history to record an RBI in each of his first five career games in the World Series, joining Amos Otis (1980)...became the eighth player to hit multiple homers in a single World Series at age 23 or younger, joining Hank Aaron (1957), Charlie Keller (1939), Goose Goslin (1924), Lenny Dykstra (1986), Reggie Smith (1967), Mickey Mantle (1952-53) and Jimmie Foxx (1929)...homered off LHP Clayton Kershaw in Game 1 of the World Series...became the youngest player to homer for an American League team in the World Series since Manny Ramirez in the 1995 World Series...hit a walkoff RBI-single off RHP Kenley Jansen in Game 5 of the World Series...was the 57th walkoff win in World Series history, the first for the Astros, and the first since Eric Hosmer's sac-fly in Game 1 of the 2015 World Series. Made his Major League debut with the Astros, after he was selected with the second overall pick in the 2015 MLB draft...was named the Astros Minor League Player of the Year, ESPN.com Prospect of the Year, MLB Pipeline Hitter of the Year and a Baseball America Minor League All-Star...was named the 2016 USA TODAY Minor League Player of the Year...became the first player in Houston franchise history to receive the award, which was created in 1988 and is given annually to the top performing prospect in the game... batted .264 with a .791 OPS (.313 OBP/.478 SLG) in 49 games in the Majors...recorded 24 extra-base hits (13 doubles, 3 triples, 8 home runs)...began his career in the Majors just 1x32 in eight total games...in his final 41 games, batted .308 (52x169) with eight homers, 32 RBI, and a .917 OPS (.355 OBP/.562 SLG)...in that span, led Astros hitters in batting average and RBI (34), while ranking second in homers (8), second in slugging (.562), second in runs scored (31), second in doubles (13), fourth in hits (50)...made 48 starts with Houston: 40 at third base, four at shortstop, three as designated hitter and one at second base...appeared in one game in left field on July 30 at Detroit...among AL rookies with at least 200 at-bats, ranked fifth in OPS (.791), fourth in slugging (.478), ninth in RBI (34) and tied for 11th in homers (8)...his slugging percentage ranked seventh by an Astros rookie all-time...spent the first four months of the season in the minors...was selected to the Major League roster on July 25, and made his Major League debut that night vs. the Yankees at Minute Maid Park...recorded his first Major League hit on July 31 vs. DET...was his fifth start at third base in his sixth career game...on Aug. 5 vs. TEX, went 3x5, becoming the youngest third baseman in club history (22 years, 129 days old) to record a three-hit game (previously Jimmy Paredes at 22 years, 257 days old on Aug. 9, 2011 at ARI)...had a four game, multi-hit game streak from Sept. 2-5...was tied for the second longest multi-hit game streak by an Astros player during the season...went 9x19 (.474) with a double, triple, two home runs and six RBI during the run...had a careerlong 25 game on-base streak which spanned from Aug. 16-Sept. 11...was tied for the third-longest streak by an Astros rookie in club history with Chris Johnson's 25-game streak in 2010, trailing streaks by Gerald Young (29g in 1987) and Greg Gross (27g in 1974)...batted .346 (37x107) with seven doubles, three triples, eight homers, 28 RBI, .391 OBP during the streak...had a career-long 10-game hitting streak from Sept. 2-11...was the longest by an Astros rookie since George Springer hit in 11 straight games in 2014...batted .378 (17x45) with a 1.182 OPS with nine extra base hits (3 doubles, 3 triples and 3 homers) during the streak...on Sept. 14, left the game with right hamstring discomfort after running to third base on a Tyler White groundout...missed the next 11 games, and returned to action as a pinch-hitter on Sept. 27 vs. SEA...hit a game-tying pinch-hit single in the 6th inning of RHP Felix Hernandez that game, in what was his first career pinch-hit appearance...in his final outing of the season, made a start at third base on Sept. 28...recorded an RBI-single in the 5th inning, which was his 34th RBI of the season...became one of just five players in franchise history to record 34 RBI in his first 49 career games... also: George Springer (36 in 2014), Hunter Pence (34 in 2007), J.D. Martinez (34 in 2011) and Carlos Correa (34 in 2015)...in 80 combined games between Triple A Fresno (18g) and Double A Corpus Christi (62g), hit .306 (96x314) with 71 runs, 22 doubles, two triples, 20 HR, 61 RBI and a .986 OPS (.406 OBP/.580 SLG), with more walks (47) than strikeouts (38)...was a 2016 Texas League Midseason All-Star and also participated in the 2016 SiriusXM All-Star Futures Game...fell a home run shy of the cycle in the Futures Game, going 3x5 with a double and a triple in a start at third base...led all Double A players in OPS (.975) prior to his promotion to Triple A on June 30...during his 18 games at Triple A, hit six HR with a .333 avg. and 1.015 OPS. Began his professional career after signing with the club on June 25...split his season between Class A Quad Cities (29g) and Class A Advanced Lancaster (37g) combining to hit .294 (80x272) with 13 doubles, four home runs, 34 RBI and a .366 on-base percentage...played 29 games for Quad Cities, hitting .259 (29x112) with five doubles, one home run and 13 RBI before a promotion to Lancaster on July 27...finished his season with the JetHawks hitting .319 (51x160) with eight doubles, four triples, three home runs, 21 RBI and an .839 OPS in the regular season...had a tough start at Lancaster, going 2x19 in his first five games...rebounded to hit .377 (43x114) with 20 RBI in 26 games in August...played in three postseason games for Lancaster, going 3x14 with a double and three RBI. July 25, 2016 Houston Astros selected the contract of 3B Alex Bregman from Fresno Grizzlies. June 30, 2016 SS Alex Bregman assigned to Fresno Grizzlies from Corpus Christi Hooks. May 5, 2016 Corpus Christi Hooks activated SS Alex Bregman from the 7-day disabled list. April 23, 2016 Corpus Christi Hooks placed SS Alex Bregman on the 7-day disabled list. April 5, 2016 SS Alex Bregman assigned to Corpus Christi Hooks from Lancaster JetHawks. 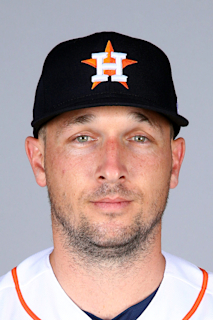 January 1, 2016 Houston Astros invited non-roster SS Alex Bregman to spring training. July 27, 2015 SS Alex Bregman assigned to Lancaster JetHawks from Quad Cities River Bandits. June 26, 2015 SS Alex Bregman assigned to Quad Cities River Bandits. June 25, 2015 Houston Astros signed SS Alex Bregman.